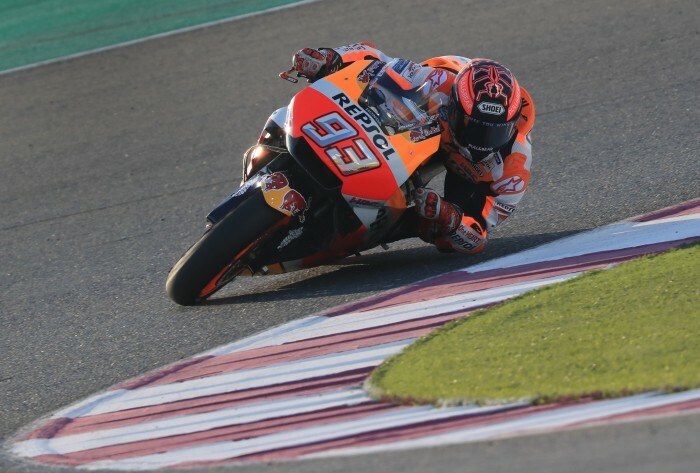 Repsol Honda’s Marc Marquez topped the one-day MotoGP test at Barcelona with a late 1’38.919 despite a fall, with most of the grid back on track after the Grand Prix. Working on their own agendas as well as testing a new Michelin tyre, it was a busy day for many – not least of all the man on top. Marquez, who put in almost ninety laps, took top spot from Suzuki Ecstar’s Andrea Iannone by a tenth late on, and had a machine in the box with a black livery – seemingly focused on aerodynamics, with the box closed to prying eyes for most of the day. Teammate Dani Pedrosa put in nearly 80 laps, and he was seventh despite a crash. Despite Honda and Marquez taking over late on, Iannone reigned the timesheets for much of the day, with the Italian putting in 37 laps. 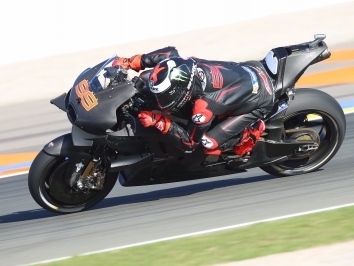 He was joined by teammate Alex Rins – P8 after 83 laps – and test rider Sylvain Guintoli for the Hamamatsu factory as they continued working with a new chassis. LCR Honda Castrol’s Cal Crutchlow was sixth and just thousandths ahead of Pedrosa. He was working on aero too, as well as suspension and electronics. Teammate and LCR Honda Idemitsu rookie Takaaki Nakagami was P16 after 88 laps, with fellow Honda-riding rookie Franco Morbidelli (EG 0,0 Marc VDS) beating him to top debutant in P12. Tito Rabat was the leading Ducati machine, with the Real Avintia Racing rider putting in over 80 laps and ending the day four tenths off Marquez. He focused on suspension and showed yet more great pace at the venue. Teammate Xavier Simeon worked on track time, doing over 70 laps and ending the day in P19. Fellow Borgo Panigale machinery runners Alma Pramac Ducati had Danilo Petrucci in hot pursuit of Rabat in P4, with 40 laps put in despite a crash and work focused on the chassis of his GP18. Teammate Jack Miller was tenth, working on braking and making the bike smoother after race winner Jorge Lorenzo (Ducati Team) set a high benchmark on Sunday. The Ducati Team were not present. Top Yamaha was Monster Yamaha Tech 3’s Johann Zarco in P5, with the Frenchman putting in more than 70 laps, working on setups. Teammate Hafizh Syahrin was P13 after 42 laps. 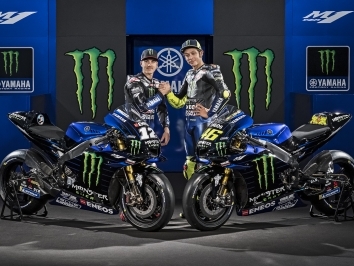 Movistar Yamaha MotoGP’s Maverick Viñales was the second fastest for the Iwata marque in ninth, doing more than 80 laps and they worked, for one, on electronics. 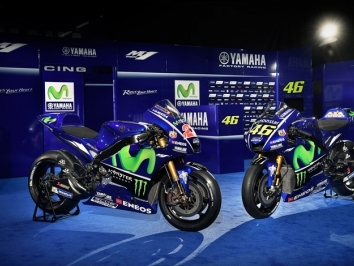 Valentino Rossi (Movistar Yamaha MotoGP) was P14 after 58 laps. Aprilia Racing Team Gresini’s Aleix Espargaro and Scott Redding were P11 and P18 respectively, working on improvements with their race bikes. Red Bull KTM Factory Racing were out in full force with Pol Espargaro, Bradley Smith and test rider Mika Kallio. Espargaro had a crash at the final corner in the afternoon. 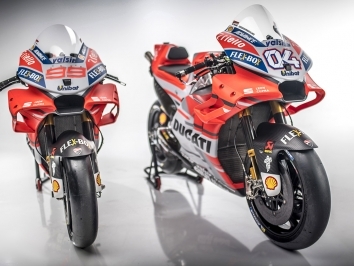 He was working with the early version of the 2019 RC16 ridden in wildcard performances by Kallio, and the three were focused on engine and chassis. Smith was top Austrian machine in P15, Espargaro was P17 and Kallio didn’t do many laps following a crash on Sunday.